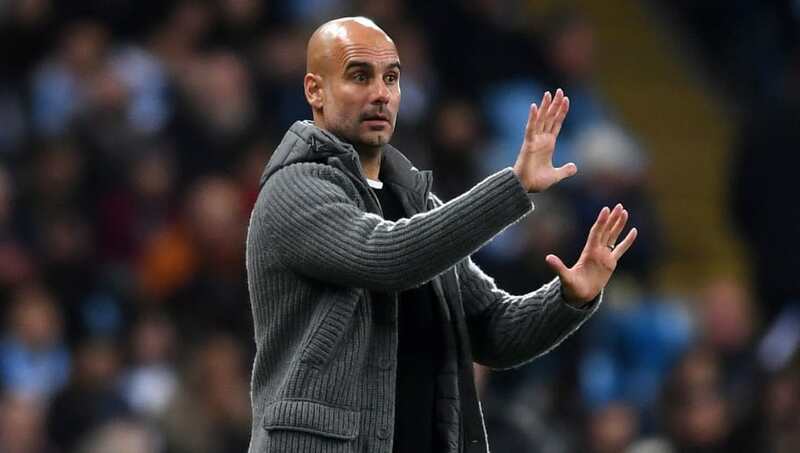 ​Manchester City manager Pep Guardiola has jumped to the defence of Raheem Sterling, following a controversial penalty that he won during City's 6-0 demolition of Shakhtar Donetsk in the Champions League, citing a similar situation involving James Milner. City were in imperious form as they swept away their Ukrainian opposition, with Gabriel Jesus hitting a hat-trick and David Silva, Sterling and Riyad Mahrez also on the score sheet. With the score at 1-0, Sterling raced through on goal. The Englishman attempted to chip over the keeper, but his foot hit the turf instead, causing him to trip. Referee Viktor Kassai believed he saw an infringement and wrongly awarded a penalty, which Jesus dispatched. Whilst many have suggested that ​Sterling should've come clean to the referee, Guardiola has defended his winger, pointing to a similar incident with Liverpool's Milner in last season's competition. "He could do that [admit the mistake],” Guardiola said, as reported by ​The Express. “But last season ​Liverpool... Milner could say that the pass to the second goal in the 44th minute it was a legal goal. If ever there was an advert for VAR being used in football, it's the Sterling incident. Although the penalty probably wouldn't have had a huge influence on the outcome of the game, it's still the talking point despite ​City hitting six goals in a Champions League game. The Citizens will host city-rivals ​Man United in Sunday's derby, looking for a win that could send them 12 points clear of Jose Mourinho's men.